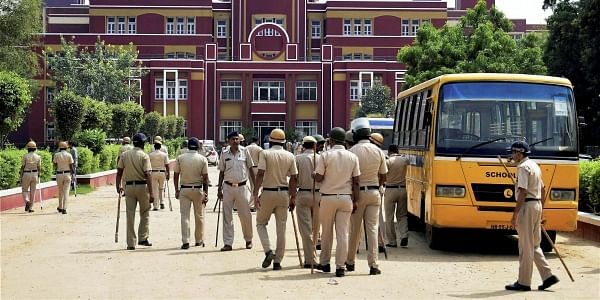 NEW DELHI: The Juvenile Justice Board today rejected the bail plea of a teenager accused of killing seven-year-old Pradhuman Thakur on the premises of Ryan International School here. The board, however, reserved its decision till December 20 on whether the accused should be tried as an adult or as a juvenile. The board had earlier set up a committee comprising a psychologist from PGI Rohtak seeking an expert opinion in the matter. The panel submitted its report in two envelops which were opened inside the court room today. Lawyer of Pradhuman's father, Sushil Tekriwal, said the report was based on behavioural, sociological and psychological aspects of the juvenile. "We have seen the report and given our submission," he said. According to Tekriwal, the report said the accused should be treated as an adult and it suggested that he was an abnormal child with a hyper-aggressive streak to his personality. The Central Bureau of Investigation (CBI) contended that the probe was underway and they were still interrogating the accused. An intense argument took place among the CBI counsel, Thakur's lawyer and the defence lawyer for three hours but eventually the board rejected the juvenile's plea for bail on basis of the reports. The Juvenile Justice Board noted that the accused was mature enough to recognise the consequences of his actions.